Costa Bingo have been running some great stocking filler games in the run up to Christmas, but with the super prizes they have up for grabs we would say these are far from just stocking fillers! This is the last week of these games at Costa Bingo and there are still a couple of fantastic gifts waiting to be won from penny stakes and we are talking, 1p, 2p or 5p depending on the game. Yesterday a Nintendo 3Ds fell of the screen into one of their lucky players laps and today a brand new Acer Laptop will be won! Your tickets for the laptop game will cost 2p each to purchase. The last festive themed stocking filler game will come out to play tomorrow night (wed 21st Dec) and we think most of you will definitely like this one, because on their bingo tables will be an iPhone 4. Have you seen this latest iPhone? It really is the most amazing iPhone to date and a gadget haven, you can even ask it what the weather is going to be like and it will talk back to you! This digital world is getting getting crazy. The spec of this phone is just amazing – anyway, if you want the chance to win it from just 5p stakes we would suggest logging onto Costa Bingo and grabbing your tickets for it and you can pre-buy them from now. The advent calendar promotion is also still running at Costa and each day they have lined up something different for you to take part in. These offers have included happy hours, free bingo games where thousand of points can be won, secret Santa, 12 days of Christmas, sweet Christmas, no lose crimbo and sunny’s Christmas pressie. There is something different going on for each day of the week. This entry was posted in Bingo Blog and tagged Costa Bingo on December 20, 2011 by Emma. Costa Bingo are set to introduce a new sunshine wheel promo at their site this month and if the (mega wheel) offer at their other portal XBingo, is anything to go by you will have the chance to spin yourself in some free bingo money daily. Although this offer has not yet been confirmed. You can still sign up with Costa Bingo and enjoy free bingo games straight away, without making a deposit first. So if you did want to check them out for bingo size, you can do so completely free. As of today (1st September) Costa Bingo will be changing their first deposit bonus from 300% down to 200%. This of course is not for the better as you will now get less bonus money when you make your first deposit – but a 200% still is not bad, especially considering you get to take advantage of the first time depositor free offer as well. Once you have made your first deposit at Costa, just head to their (first time depositor freebie room) where you will be able to enjoy playing for £20 (in real cash) completely free, every 15 minutes between 10am and 10pm for the next 24 hours. Well at Costa Bingo those freebies do not stop there. Each time you make a deposit thereafter you will gain access to their (daily deposit re-load room). In here you will be able to play for a guaranteed jackpot of £15 every half an hour for the next 24 hours. On top of this costa have special free bingo games running each day and just what you can play for will depend on your loyal status, plus of course all their usual free bingo rooms are open daily for everyone to frequent (whether you have made a deposit or not). So you could say that at Costa Bingo you definitely get the best of both free bingo worlds. Have you tried costa out yet? What did you honestly think of their site? Why not leave a comment and share your views. This entry was posted in Bingo Blog and tagged Costa Bingo on September 1, 2011 by Emma. The Costa Bingo Cabana is a guaranteed jackpot of £2,500 and this game will be playing tonight. You can log onto Costa from now and pre-purchase your cards for the Cabana game and these will cost just 10p each. Of course you can also turn up before the game begins at 9pm today on Costa Bingo and play. That’s the great thing about (pre-buy) bingo, the choice is yours to make. Pre-purchasing your bingo tickets means they will be in the game, whether you are logged on at the time of the game or not. And you can check out who won the game etc by going to your game history. Costa profess to run more free daily bingo games than any other site around and what we like about their free bingo offerings is that they cater for their newbie and regular players. When you register with them you will instantly be able to enter some of their free rooms and play bingo where real cash prizes are up for grabs – no deposit required. If you do like what you find at Costa and go on the make your first deposit (which by the way is currently being met with a 300% bonus) you will find a first depositor freebie deal for you as well. There are also daily free deals for re-depositors. 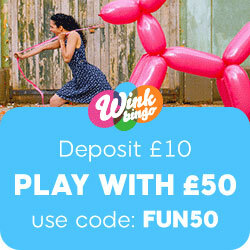 In general the free cash prizes on offer in their daily free bingo rooms range between £1 and £50, but we have seen costa give away as much as £10,000 for free before – so their free promos are always worth keeping an eye on. Being a member with Costa Bingo means that you will always be able to log onto their site (any day of the week) and grab a game of bingo, whether you fund your account or not. This entry was posted in Bingo Blog and tagged Costa Bingo on August 23, 2011 by Emma. Costa Bingo have reverted back to offering a £10 free bingo no deposit required bonus on sign up. If you register with Costa Bingo now they will automatically award you with the free bonus, meaning you can go check out their site and play £10 worth of bingo on them. (This is a limited time offer though, so it will not be around for long). Everyone joining costa can play bingo immediately (without funding your account) by entering their free play bingo rooms. However, you are limited to just a few rooms until you have made at least one deposit, so getting £10 free upon registering will allow you to fully check out their other bingo rooms (and not just the free ones). The good thing about playing bingo with costa is that they hand out real cash prizes on their free games and not bonus cash. So if you meet the withdrawal threshold of £30, you can refund winnings back to your card. And as any free winnings are paid into your account in cash you can also use them to play on any of the games listed at Costa. If you like playing for big money jackpots you may be interested to know that costa run a guaranteed £2,500 bingo game at 9pm every night and a huge £10,000 free to enter game each Friday night. We like the structure of their free bingo deals, as there really is something free for everyone. Whether you are a newbie or regular player, costa have something free going on for you. The company behind Costa Bingo have been growing over the past few years. Costa was their flagship site, they then launched Sing Bingo and more recently they have added another site called Fancy Bingo to their fleet. So you could say they are on the up and up. This entry was posted in Bingo Blog and tagged Costa Bingo on July 12, 2011 by Emma.